This article is sponsored by OptionBit which is our recommended broker for trading gold with binary options. Gold is one of the underlying assets traded in the binary options market. This is just as well too, because trading gold in the commodities market is just too risky for most retail traders. The margin requirements are high, it needs a lot of capital (in excess of $10,000) and a heart of steel to bear the drawdowns that could occur. That is not to mention the monumental losses that could occur in a crazy market when slippage could blow out a trader’s account. Why Trade Gold through Binary Options? The binary options market provides a way out to trade gold in a controlled environment, with reduced risk of a catastrophic loss, smaller margin requirements and by consequence, lesser trading capital needed. There is no fear of gold rolling back by almost a thousand pips against your position before it decides to do as you wish it to. No fears about over-exposing your account. In the world of binaries, the trader’s loss is restricted to the cost of the trade. If the trade behaves as the trader wishes, he gets his cost back and some extra. This “extra” could be up to 81%, or if you know how to play this multiple ways, could be as much as 500%. In trading gold, there are several things to consider before your desire to make money from it transcends from the pedestal of dreams to the reality of tangible dollars in your hands. – Touch/No Touch: Here, the trader bets on the price action touching a chosen price level called the strike price, (touch) or not touching that price at all (no touch). There are variations such as double one touch, double touch, etc. The key is that the chosen behaviour of gold has to occur in the trader’s favour before the expiry date. – In/Out: The price of gold can decide to trade within a price range formed by an upper and lower trend line. Whether this asset decides to stay within the tunnel so created (in), or break out on either side (out), is a matter for the trader to decide. A correct choice is rewarded. – High/Low: How about trying to decide if gold will end higher than the present price by the time the trade expires, or lower? Another way for the trader to possibly make money. These are three possible outcomes that can translate into some cash to finance that shopping spree that has occupied your mind lately. Let us now help you along the way. Gold is volatile. Its daily pip movements are anywhere between 1,000 pips and 10,000 pips. With this sort of volatility, I would like to trade a Touch/No Touch trade. The key is to get the direction right, then set an appropriate strike price and expiry date. If we get these three ingredients right, the trade will succeed. First, we have to ask ourselves: what makes gold tick literally? 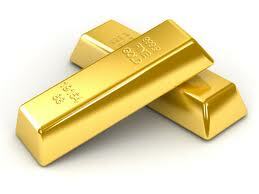 Traders love gold because it is a safe-haven instrument which they can buy in periods of uncertainty. As at late 2011/early 2012, was there uncertainty in the markets? The answer is a resounding YES! Eurozone uncertainty was really bothering traders. When there is uncertainty, the price of gold only heads in one direction; upwards! So now that we had a direction, the next thing was to determine an appropriate strike price. An appropriate strike price has to be one which is achievable (within the price range of movements for gold), and which is not beyond a resistance point. An expiry of one week was set as the expiry period. If gold is expected to be bullish, it should either Touch a bullish target, or Not Touch a bearish target. Based on these principles, we had two gold trades on 19th October, 2011 and on 12th January, 2012. In the first scenario, we used a bullish gold prediction to predict a Touch on a strike price which was within reach, and it performed as we said it would. This screenshot shows a No Touch trade for gold, where we used the principles we described above to say that gold was not going to touch a bearish target. A very profitable trade it turned out to be. This is a summary of one of the ways to trade gold in the binary options market. There are other ways too, but if you master this method, you will make some good money.